Thoroughly enjoyed Q3 tonight. Great to see a good number of cars on track for this one and some very good times posted. Well done Nic on the top time tonight. Personally delighted with my best time of 1:34.101, almost half a second improvement over my best time in my practices. Only slight disappointment was being over 4/tenths up on the final lap in sector 1, lost some of that in sector 2 but still looking good to break into the 33's but just pushed too hard into the heel and ran wide. That was a brilliant race and I cannot thank the Staff and everyone who raced enough. Pulling this sort of event off is not easy. i have seen a number of other leagues doing an event like this and struggle to keep to a reasonable schedule. I can assure all of you that this going to be the first of many races that we will do running over even longer distances. I hope you have all had an enjoyable time and that it gives you the thirst for more. Finally well done our winners Akquq Racing with a dominate display on their first time with the DSRL!!!! I really enjoyed it all though I have to admit to a lot of nerves leading up to the stint. 24Hrs of Le Mans? Maybe 6 hrs of Spa first, lol. All kidding aside it felt good to be back in the car and a part of a team again. Thanks for Hosting and Zarf for inviting me to drive for his team. I loved that. Well done all. Well done Rebel, we qualified last, we both double stinted and finished 4th(I think). We kept it mostly clean. I avoided spinning cars in both stint 1 and 4 at turn 1. Stint 2 was pretty clean for me. With about 15 laps left in stint 4 I caught Toast who either just left the pits or had a cut track but he was slower up the "S" and I was indecisive on which side to go so I tapped the drivers side wall causing left rear suspension damage. Luckly I was well ahead of MOV who was having ffb troubles and I limped it home without having to fix the damage. For me to go that long without much of a self induced issue is a good sign. Can't wait for what P Cars 2 will bring. I'll have to hire one of you fast guys for a driver coaching session next time. Absoulty epic job by Aid and Webber on the stream. I loved how someone said you were the DSRL version of the radio Le Mans guys, it's true. Great race, and great job on the Mixer broadcast!!! That was a blast! Thanks Hurt MaGurt, for anchoring Dedicated Rebellion to a 4th place finish. 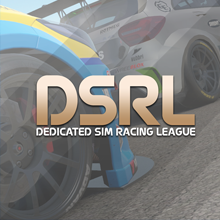 DSRL is the premier XBOX Sim Racing Community, anywhere, regardless of size. I have been a part of long distance, stage races on much larger, more established Forums or Sites. No one holds a candle to DSRL. Thanks again, DSRL Webbers, Admins, and fellow Dedicated Sim Racers. Awesome Coverage from the commentators! Congrats to Akquq Racing for winning the race overall and having miles of pace!! Thank you very much for this opportunity. Was a pleasure to drive with you guys. Really enjoyed it and thanks to the stream I could watch the race again with nice commentary. A shame you didn't catch my two big saves, they were worth watching lol. Tough luck for our team in stint 3, but congratulations to the winners and to everyone who finished. Thank you guys (streamers and drivers alike), this was a superb event! I had never done endurance in a team so thank you guys again for that! After 19 laps in stint 1, the guys put in some more than decent work and got us laps om the board, allowing us to finish P9 after another team had some troubles as well. Bit of a scare during stint 3 when varzak had no pace, I attempted to unlap myself with the result we know lol.